New Greek kickboxing sensation Dimitris ‘Pantro’ Chiotis earned the first round knockout victory over Jakub Smigielski in the WKN kickboxing international championship at Brave Night III fight show held on July 3 in Athens, Greece. 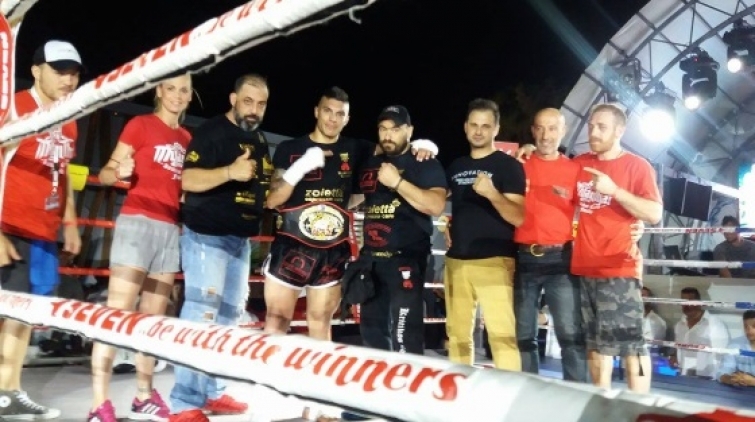 The semi-main event saw kickboxing super lightweight national championship of Greece where Luciano Routsi defeated Rezzka Cecxladze and claimed prestigious WKN belt. The show included rating male and female bouts with competitors coming from all around Greece. Massroom Club accommodated the gala sub-titled as ‘Ring on the Beach’. The WKN representative in Greece, Stefanos Konstantinidis made a marvelous job accommodating two outstanding events during 48 hours. The New Heroes by the Battle fight night was held a day earlier on Corfu island.